The proliferation of web-based technologies has led most national governments to begin transitioning to a so called “e-service,” where provision is made through purely digital means. Despite their obvious benefits for most users, these on-line systems present barriers of access to certain groups in society. 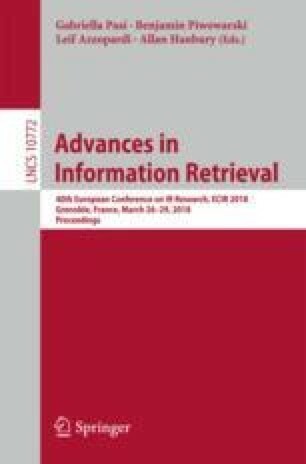 In this study we consider the information behaviour of English as a second language (ESL) and native English speaking participants as they conduct search tasks designed to reflect actual information seeking situations in a UK governmental context. Results show that the ESL users rely more on query assistance, delve deeper into the Search Engine Results Page (SERP) and obtain better performance the longer they read documents. This was not the case for the natives, despite spending the most time reading documents. There are some similarities in their information seeking behaviours as both groups submit similar length queries, and are equally proficient in identifying when a failed query did not meet their information need. This proficiency was not reflected in their performance in some tasks, with both groups unable to consistently predict when they had not performed well. The results of this work have potentially profound repercussions for how e-government services are provided and how users are assisted in their use of these.